BATON ROUGE, La. - June 17, 2016 - PRLog -- Linda Allred, CEO of Linda Allred, LLC offers a range of questions to ask oneself at this point mid-year to assess progress toward achieving one's New Year's goals and suggests reaching out for help if necessary. 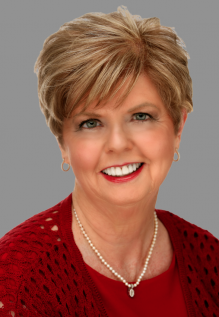 Baton Rouge, LA- June 17, 2016 - Linda Allred owner of Linda Allred, LLC, is a certified hypnotist and Kinesiology (Muscle Testing) Energy Expert. She has achieved great success in helping people lose weight, manage stress, make more money and run a successful business. In her recent blog entitled "Mid-year Resolution Check Up" Ms. Allred checks in to see how everyone is doing with the year's stated goals. "Wow," writes Allred, "here we are in June already. Wasn't it just January yesterday?" She continues adding, "Time is a funny thing. Some days seem to drag on forever, yet six months just zip by." Allred states, "This is the time of year I like to check in with clients and see how they're doing with those pesky New Year's resolutions. It's a great time for anyone who has set a new goal for the year to see where he or she is." "So, where are you?" asks Allred. "Have you made progress toward your goal? Are you where you thought you'd be?" She continues, "Perhaps there's just some little thought or behavior that needs to be tweaked to propel you forward again." Linda is known as the Hottest Ticket In Town. She is an expert in two of the most powerful belief-change modalities in the world, Self-Hypnosis and the energy work of Kinesiology. In addition, she is the co-author of the best-selling book, Answering The Call, published by Celebrity Press. The book became an instant #1 Best-Seller in two categories, "Marketing, and Marketing For Small Businesses" on Amazon the day it was released due to the message that so many people need in their lives. The book finally allows the reader to answer their own call in their journey through life, whether that is losing 10 lbs, 100lbs, reducing stress, quitting smoking, charging what you are worth or making $100,000 or $1,000,000 in their business. Linda's powerful chapter, Change Your Mindset, Change Your Life, inspires readers through her own courageous story, going from overweight and overeating to create a false sense of happiness to finding her true calling and passion, turning her life around and giving back to others to help them let go of their own limiting beliefs to free themselves of the constraints holding them back from greatness.